23andMe vs. AncestryDNA: What's the difference? It depends on what you're after. Editor's Note: This story has been updated with a comparison of the ethnic regions both tests represent. 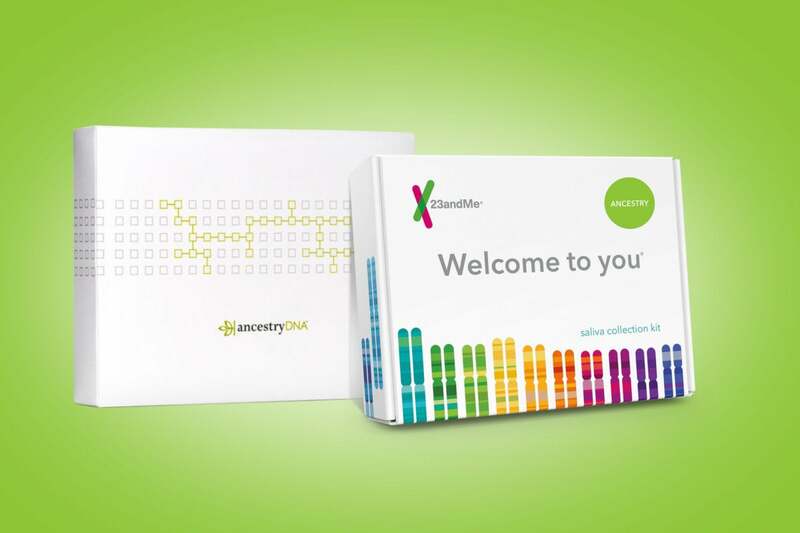 AncestryDNA and 23andMe are the world’s most popular DNA tests. Combined, the companies have tested the DNA of more than 15 million people, according to the International Society of Genetic Geneology. They also both cost $99, unless you elect for 23andMe’s $199 Ancestry + Health service to get info on potential health risks and genetic traits in addition to ancestry. So what’s the difference? We took both tests to find out. 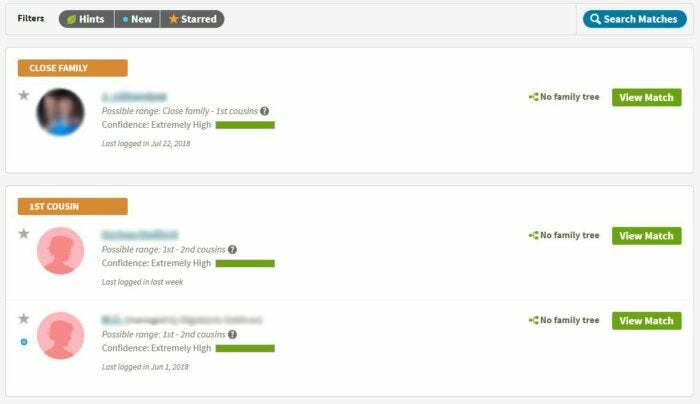 You can read our full reviews of AncestryDNA and 23andMe, but below we break down the primary differences between the two kits. For one, AncestryDNA only tests your autosomal DNA, while 23andMe tests your autosomal DNA, your mtDNA, and your yDNA (if you’re male). 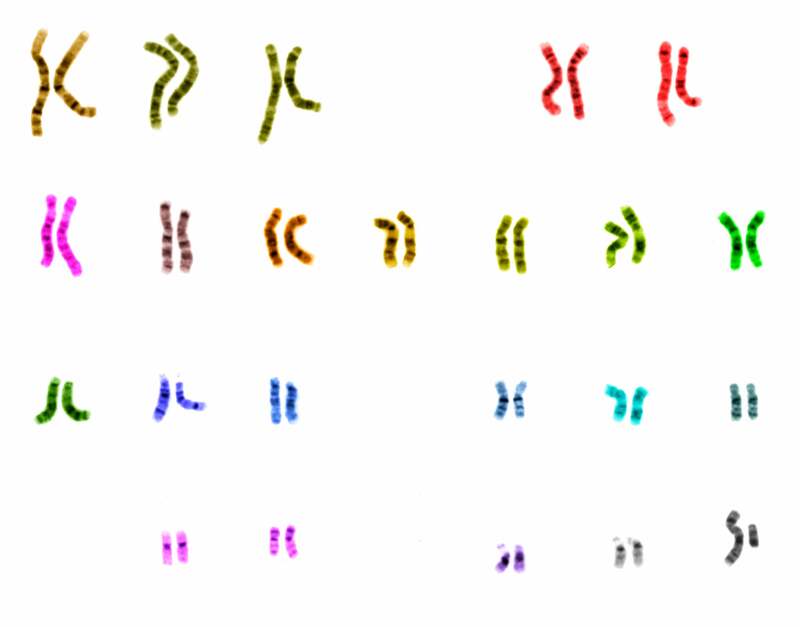 Autosomal tests are the most common DNA tests. They look at DNA inherited from both sides of your family and compare it to other samples to determine your ethnicity. Autosomal DNA tests also reveal family relations up to seven generations—or 210 years—with up to 95 percent accuracy. Your 23 pairs of chromosomes. On the other hand, mtDNA comes from your mother and yDNA from your father—however, only men can have their yDNA tested. These types of DNA reveal the lineage, known as a haplogroup, that you descend from on your mother’s or father’s side. 23andMe uses this information to tell you about your ancestors tens of thousands of years ago and their migration patterns. Because of the aforementioned different kinds of DNA the tests examine, the results you get also differ. AncestryDNA just provides an ethnic breakdown of your DNA through an interactive map, while 23andMe does this and much more. The results from 23andMe are more varied and informative than AncestryDNA. For instance, I learned that I was descended from “Ötzi the Ice Man,” who was apparently killed by an arrow 5,300 years ago in the Alps. You also see your ancestors’ migration patterns and even how many Neanderthal variants you carry in your DNA. 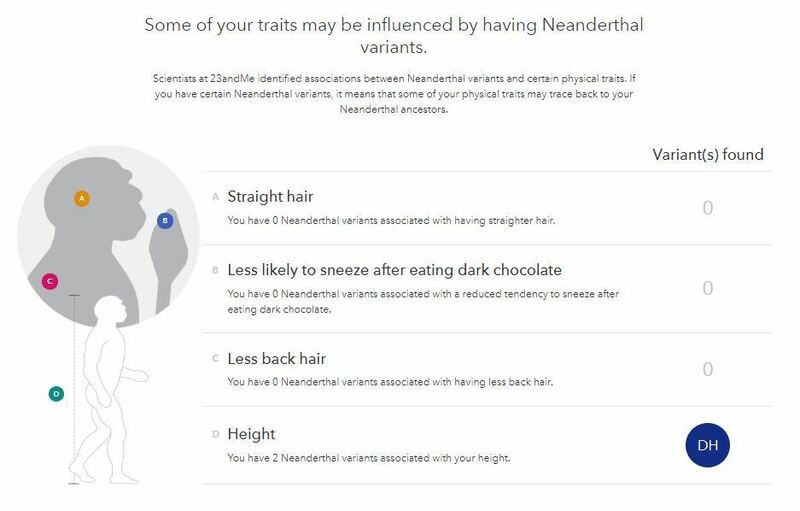 Here are all the Neanderthal traits 23andMe can identify. Visualizations from 23andMe were also far more interesting. While AncestryDNA just provides you with a map, 23andMe goes above and beyond with unique offerings like Your Ancestry Timeline and Your Chromosome Painting. In short, you get a lot more with 23andMe. 23andMe's fascinating ancestry timeline visualization. Both tests offer hundreds of ethnic regions to match your DNA against. But as of this writing, AncestryDNA provides 499 regions compared to 23andMe’s 171. That’s 328 more regions. This is partly thanks to the 169 regions AncestryDNA offers on European migrations into the Americas, Africa, and elsewhere. 23andMe doesn’t trace the DNA of European settlers yet. People of European descent also have a disproportionately high number of regions in both tests compared to other ethnic groups. Seventy-four percent of AncestryDNA’s regions are European compared to 23andMe’s 30 percent. Read our in-depth feature on why DNA tests are more detailed for white people to learn more. In short, it’s because most of their customers are of European descent. The companies are regularly updating their ethnic breakdowns as new data come in, so expect more regions to appear with time. Both AncestryDNA and 23andMe have a DNA matchmaking service, where you can learn about, and make contact with, genetic relatives. But AncestryDNA has tested the DNA of more than 10 million people, compared to 23andMe’s more than 5 million tests. That means you have a far higher chance of matching with a relative on AncestryDNA than 23andMe. You can also enhance your search even further by signing up for access to Ancestry.com’s extensive genealogical records, starting at $19.99 a month. Ancestry.com has amassed more than 11 billion records to create millions of family trees, based on marriage and death certificates, immigration dates, and military records. It should also be noted that the more people in a DNA database, the more accurate the test results become. More DNA data allows these companies to perfect the algorithms used in creating ethnicity estimates. Like most things in life, it depends on what you want to get out of the experience. 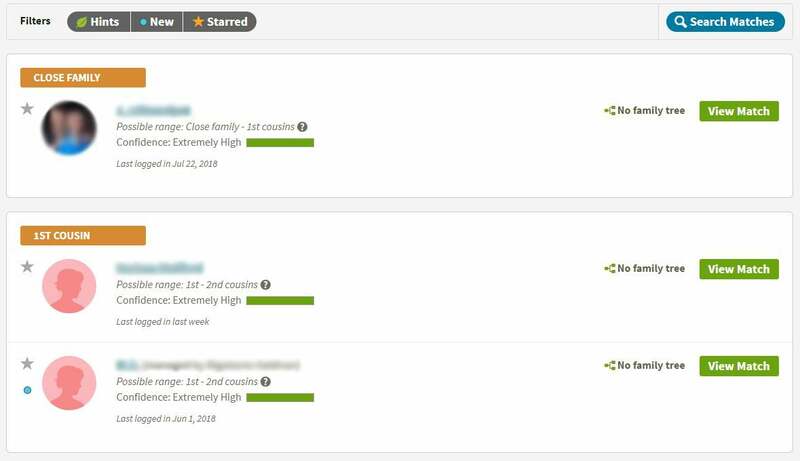 If you’re looking for genealogical information and want to find relatives, then AncestryDNA is the way to go, just by virtue of it having a much larger database. Still, 23andMe’s 5 million users is substantial, and the service excels by providing a lot more detail about your DNA than just your ethnicity estimate since it tests more of your DNA. It’s also far more educational than AncestryDNA, which basically just shows you an ethnicity map and matches you with people. For those reasons it seems like a better value. 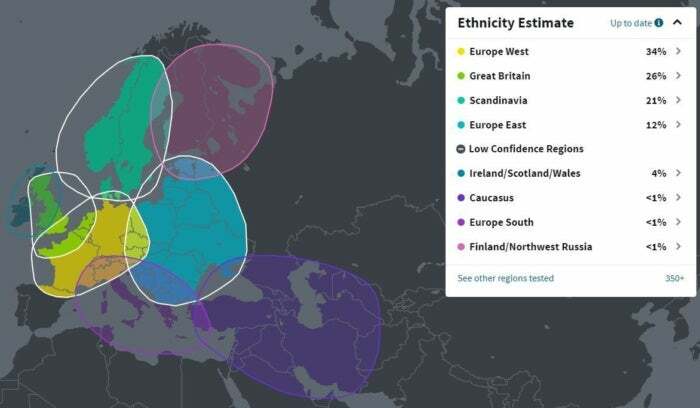 The map of my ethnicity breakdown from AncestryDNA. Both tests are regularly refining their data and algorithms to improve the results. Over time, you can expect to receive notifications when either service has improved its ethnicity estimate. This story, "23andMe vs. AncestryDNA: What's the difference?" was originally published by PCWorld.